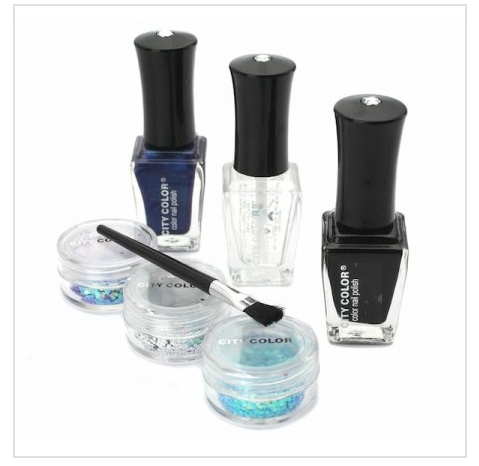 City Color DIY Sequin Nail Art Kit As Low As $2 SHIPPED (Reg. $29)! You are here: Home / Great Deals / City Color DIY Sequin Nail Art Kit As Low As $2 SHIPPED (Reg. $29)! Here’s a fab beauty deal for you, especially if you have a teen or tween who loves nail art, too! You can currently get this City Color DIY Sequin Nail Art Kit for As Low As $2 SHIPPED (Reg. $29)! These are on sale for as little as $5 for current customers (down from $29! ), however, if you’re new, you can sign up at this link and share EOR with your friends and you’ll get a FREE $5 credit to use on anything on the site, which will make these FREE plus $2 shipping!